How much voice rest is necessary after surgery to the vocal folds? When I had voice surgery 10 years ago, I was instructed to rest my voice strictly for 1 week. No talking, singing, throat clearing, grunting, you get the picture. It was unclear, however, how I was to get back to singing normally again. So what do I tell patients? It varies depending on the extensiveness of the laryngeal surgery, but I pull my recommendations from studies. Leydon et al 2014 describes how forty rats, (I know they're not people, but I'm sure the experimenters formed relationships with their little buddies for the duration of the trial) had the mucosal layer of the vocal folds removed. (That's the top layer.) Then the rats' larynges were examined between 3-90 days at 5 different times. Researchers found that a vocal fold tissue structure regenerated quickly (like, within 5 days) with intercellular junctions and multi layered epithelium (the tissue on the very outside of the vocal folds that receives the biggest impact during vibration). However, atypical permeability of this layer of the TVF's was seen up to 5 weeks after surgery. This means that if you have vocal surgery, you should be sure to keep tabs on your vocal use for many weeks following surgery, as there is a very elevated risk for further damage as your body continues to rebuild where the surgeon worked. Intact structure does not necessarily mean you can demand vocal use you were using before surgery. Scarring is frequently seen after surgery and results in issues with phonation. So obviously we want to minimize scarring. We can't exactly massage the vocal folds to soften this scar tissue, but perhaps gentle vocal exercises that stretch and contract the tissues, as well as utilize resonant voice can help. The Branski article suggests that vocal fold lesions are probably the body's way of healing a wound, much in the way a scar results from a cut. Applicable to many of my patients is the discussion of chemical vocal fold injury from LPR, and that 50% of patients with voice disorders also have LPR or GERD, or both. We must also consider the effect of reflux on the healing process after surgery. So, how long should a person realistically expect to be on complete vocal rest after surgery? For 2 weeks-5 weeks post injury, epithelium remains permeable and impacted by the wound healing process. I say impacted and not weakened, because epithelialization (restoring structural integrity) occurs rapidly between 3-5 days after injury. Complete rest during this rapid healing time with a very strict ease back into phonation over 2-5 weeks appears to win here. We're still learning so many things about how this delicate tissue heals itself, we can only recommend based on the information we have now. Every patient heals differently, and the degree of surgical manipulation will vary case to case. Kristie Knickerbocker, MS, CCC-SLP, is a speech-language pathologist and singing voice specialist in Fort Worth, Texas. 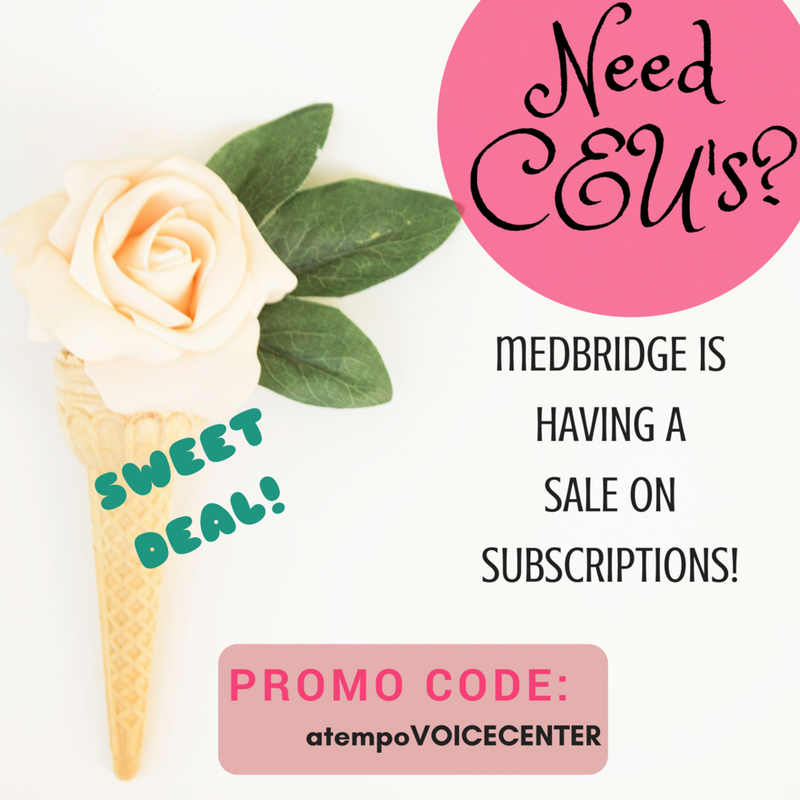 She rehabilitates voice and swallowing at her private practice, a tempo Voice Center, and lectures on vocal health to area choirs and students. She also owns and runs a mobile videostroboscopy and FEES company, Voice Diagnostix. She is an affiliate of ASHA Special Interest Group 3, Voice and Voice Disorders, and a member of the National Association of Teachers of Singing and the Pan-American Vocology Association. Knickerbocker blogs on her website at www.atempovoicecenter.com. She has developed a line of kid and adult-friendly therapy materials specifically for voice on TPT or her website. Follow her on Pinterest, on Twitter and Instagram or like her on Facebook. Posted on May 25, 2016 by a tempo Voice Center and filed under Research Tuesday and tagged voice voice surgery vocal fold vocal misuse voice rest voice therapy vocal health ENT Otolaryngology. It's Research Tuesday again! There may be "Something in the Water" for Carrie Underwood for her to be changed, and the same is true for the diagnosis of many voice disorders following videostroboscopic evaluation. In this recent article in the Laryngoscope, Seth Cohen (no not the one from the OC), Nelson Roy, Mark Courey and others take a look at how important Videolaryngostroboscopy (VLS) is as an evaluation tool. They did this retrospectively for patients from 2004-2008, who had been evaluated by an otolaryngologist and then had a specialty voice evaluation with a VLS component within 90 days. Findings? Half of the patients had a change in diagnosis following a VLS. HALF! That's insane. I love examining vocal folds with my strobe light and rigid endoscope, and now I love it even more. If this examination can correctly identify disorders that would have been misdiagnosed otherwise, I'll shout it from the mountain tops! Strobes matter! Think about the otolaryngologist. He sees 20-30 patients per day, and voice complaints usually result in a quick look with a flexible endoscope through the nose. This is to determine if there is something scary or not, and to determine the depth of evaluation necessity. The ENT will then usually refer the patient to a voice specialist for a videostroboscopic examination, or do it himself if he has the training, technology and time. He makes the best call he can for the technology and time he has, and when he knows the patient will benefit from further analysis, he refers. This is efficient. What makes a videostroboscopy so much more comprehensive? It can be recorded and reviewed multiple times to educate the patient and to share with other care providers. It is magnified greater than a flexible endoscope, so you see the laryngeal vestibule in greater detail. The strobe light allows the vocal folds to be seen in motion. This helps us evaluate the vocal folds in five ways, as well as for color and structure. This saves us money, it saves the patient money, and it saves insurance companies money. In this study, 83% of 125 individuals who had the diagnosis of acute laryngitis had their diagnosis changed to something different. This was not the only initial diagnosis, but it showed the biggest change. Difference in diagnosis means that there were differences in treatment patterns as well. This means that PPI's were only used when necessary, surgery wasn't performed if it wasn't necessary and voice therapy may have helped in many cases. I like the otolaryngologists I work closely with because they are very conservative when they treat. We provide voice therapy and wait and watch. Vocal folds are so delicate and unnecessary surgery could make a voice quality worse than what the person was complaining of. Each case is different, but many times voice therapy can make a huge difference and even help avoid surgery. So what was being over diagnosed? Acute laryngitis and vocal fold paresis had a higher chance of being changed as a diagnosis than chronic laryngitis. Cancer and nonspecific dysphonia had less of a chance than chronic laryngitis. The article also states that ENT's are less comfortable with diagnosing specific voice disorders unless they are very visual in presentation, so even more reason for our specialty to shine. Get out there, stay educated on interpreting and strobe, people! Posted on March 9, 2015 by a tempo Voice Center and filed under Research Tuesday, Practical Therapy and tagged researchtues researchtuesday Videostroboscopy voice Voice Analysis. Why does a voice sound disordered? Does it sound harsh? Does it sound breathy? Does it sound too high pitched? We can hear a voice and perceptually tell that it sounds unnatural. How do we prove this? There are perceptual scales, like the CAPE-V and the GRBAS, and I use the Vanderbilt FITQ scale. (It's a rating scale for Frequency, Intensity, Timing and Quality on a 0-3 rating.) There are self-perception measures like the Vocal Handicap Index and the Reflux Symptom Index. Unfortunately, we can't just say someone sounds dysphonic and expect the service to be covered. Insurance companies tend to prefer hard numbers and measurable data. The perceptual scales are measurable, however they are subject to intra and inter rater reliability issues because on any given day each of us hears things differently. Many clinicians utilize acoustic measures like Jitter and Shimmer, as well as noise-to-harmonic ratio when they gather data. Jitter is displacement in frequency periods or pitch variations, and shimmer is changes in intensity or amplitude. Noise-to-harmonic ratio is simply comparing the relationship of good sounds to bad ones, and if the noise outweighs the harmonies, then there is dysphonia. These measures are limited because they require the person to sustain a vowel to capture data, and that can be difficult for some voice patients. While it is important to measure sustained vowel productions, but it is vital to measure the voice in connected speech as well. There are reasons for this: 1) Adductor spasmodic dysphonia sounds relatively normal during a sustained "ahh" but is very apparent during connected speech. 2) Sustained vowels are not as multidimensional as speech. Speech contains rapid voice onsets, offsets, inflections, stress, pauses, voiced and non voiced sounds. What if we could somehow combine how we measure both connected speech and prolonged vowels? Youri Maryn, Marc De Bodt and Nelson Roy developed a protocol that is multifaceted, like a diamond. The voice has many layers and dimensions, so shouldn't it be analyzed the same way? It's called the Acoustic Voice Quality Index. It takes into consideration 6 parameters: shimmer local, shimmer local dB, harmonics-to-noise ratio, general slope of spectrum, tilt of regression line through the spectrum and smoothed cepstral peak prominence. If these are unfamiliar terms, that's okay. Just know that the sound signal is being analyzed in different ways and tested to determine if the numbers accurately reflect what is heard perceptually. The testers in this article are making sure that if a voice quality sounds disordered, the numbers consistently reflect this when compared with numbers from a normal sounding voice. Cepstral peak prominence is an emerging measure for acoustic analysis. (Cepstrum is spectrum with the letters rearranged, but it the calculations to find it are a bit more involved.) The more periodic a sound signal is, the more you will see a prominent cepstral peak, so we are looking for a low number to represent a dysphonic voice. The great thing about cepstral peak is that it is the only acoustic metric that shows dysphonia in sustained vowel productions and connected speech. Jitter, Shimmer and NHR are limited to the former. Simply by using PRAAT, a free program, you can easily obtain data in a non-invasive way. Maryn et al 2010 says that there are other similar models of voice data analysis, but none utilize continuous speech and sustained vowels to determine how severe a person's dysphonia is. Maryn and team cross-validated the AVQI in 2009 with 251 subjects. This 2010 study looked at 72 voice samples, as well as 33 other samples to determine the AVQI's responsiveness to change. Acoustic measures were taken using James Hillenbrand's "SpeechTool" (another free program) and PRAAT. AVQI was developed specifically to be widely available to those providing voice therapy with limited budgets. It's super nice to have CSL software from Kay Pentax, but for the vast majority of clinicians in hospitals, private practices, schools and clinics, budgets are tight. PRAAT can be downloaded on Mac or PC, so it is easily accessible. If you were like me, you might have been collecting data with PRAAT and SpeechTool, but with this measure you can streamline your data collection and use only one program. This saves you time and money, as well as provides you with better data. Excellent... The script necessary to complete calculations can be found in the appendix data for Maryn 2014. So why the AVQI? Maryn and Weenink found that listeners rate sustained vowels more severely than connected speech when there is dysphonia present. I can vouch for this because my patients usually can only hear a target production in isolated sustained vowels, not in connected speech when I demonstrate both. The AVQI has also been tested across multiple languages, like Dutch and German. Studies have found that despite language differences, the measure remains reliable and valid. The 2014 article cautions for clinicians to make sure they are accounting for environmental noise in the room as well as mobile phone interference. Recommendations are for a head-mounted condenser microphone with XLR connection as well as an external mixer soundcard to improve the quality of the audio signal and to keep it the same across patients. Remember to tilt the microphone away from the mouth and record voice sounds with a sampling frequency of at least 26kHz. Using the AVQI has allowed me to streamline my evaluations by a few minutes, as well as show a picture representation of the voice to my patients. Visual is always good. Minutes of each day all are precious because they add up, so I hope you will read up on this available and easy-to-use option for acoustic measurements. Objective Dysphonia Measures in the Program Praat: Smoothed Cepstral Peak Prominence and Acoustic Voice Quality Index. Marin, Youri & Weenink, David. J Voice. 2015 Jan;29(1):35-43. doi: 10.1016/j.jvoice.2014.06.015. Epub 2014 Dec 9. Posted on February 9, 2015 by a tempo Voice Center and filed under Research Tuesday and tagged Voice Analysis Voice Voice Therapy Jitter Shimmer Harmonics Perceptual dysphonia researchtues. Acquire The Fire: Why Do We Care About Motor Learning Theory? I wonder to myself all the time how I would train another SLP to be like me. Would I be good at it? Thank goodness I had skilled and patient mentors, because voice therapy is a difficult bear! And the skills you acquire should set a fire in you to save the world, one voice client at a time. You have to listen closely and train yourself to command poor productions as well as target ones. I wonder too, how did I obtain all of my skills at discriminatory listening and skilled productions? Which learning type was I? I wanted to spare you the hairy read of this very thought provoking article, and try to give you the quick and dirty. I had time to peruse this article thoroughly, so here is the scoop. Don't freak out just yet. I had flashbacks to graduate school cognitive therapy classes and I almost began to have a melt down. Let's begin with Implicit Learning. This is what you pick up on in your unconscious learning abilities. Easy, right? You can think of it as how a child learns communication skills as he or she grows and develops. Babies, Implicit babies. Children demonstrate new receptive and expressive communication skills in new ways literally every day and they did not sit through a powerpoint presentation to do so. Plenty of studies have looked at Implicit Learning and say that skills learned implicitly mean that a person has no conscious memory of learning the skill. Continue to breathe, do not freak out. Let's discuss Explicit Theory now. This is learning tasks or information after detailed instruction. You must easily be able to demonstrate this newly acquired skill on command. This can be done because you had someone telling you the most optimal way to achieve that target production or skill. Explicit teaching is thought to streamline you to the best possible outcome. 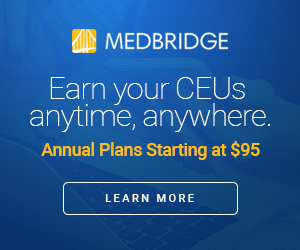 Think of every CEU you have ever earned. Now, all of that information was most likely learned explicitly through whatever forum you decided to obtain it from...be it online, classroom instruction, one-on-one training, whatever. Explicit learning is usually the mode of choice for left brained individuals, and this is because it appeals to the organized and supported way to learn new information. So now that we have defined Implicit and Explicit, there is one more potentially complicated term pair that might get your knickers in a twist: Top-down and bottom-up. Okay, the flashbacks are here again. Bottom-up is where you begin with implicit learning and scaffold to explicit learning. Top-down is the exact opposite. This article suggests that combining both, regardless of which is first, can support all learning avenues and give you the best outcome. So why do we care about how a person learns new information? Because voice therapy attrition rates (fancy word for drop out) are climbing. With 30% of adults reporting voice issues, 65% of them drop out of voice therapy prior to achieving some sort of positive result. Is this because we as voice therapists aren't appealing to each person's learning type right off the bat? It's worth looking into how well you can identify a person's preferred skill acquisition type because your therapy can then propel the client on the most efficient path. You don't want to overwhelm or confuse clients in the therapy room. Yes, you know your stuff, but they don't care. They just want to get better. So where do you start? Your run-of-the-mill voice therapy sessions utilize auditory-perceptual, implicit learning to get the job done. This is when you produce a target sound, the one you want the client to mimic, and they produce it exactly. Why do we do this? We hope that eventually after practice and repeating-repeating-repeating, the client will generalize because all toddlers walk eventually. Implicit babies, remember? This is all well and good, but what about when the client is home and discharged from therapy. Can he or she conjure up the targets again? How will the client know if the targets are correct targets? This is where the importance of explicit learning comes into play. Explicit teaching needs to be completed by a therapist who is well versed in anatomy and how the anatomy functions properly and in error. We can only see so much of our speech mechanism (tongue, lips, teeth etc.) and we are left to depend on feeling, visualizing and hearing the rest. So we create metaphors for our clients. Kittie Verdolini cautions to be careful of over doing the metaphors in the therapy room because although they may facilitate, they may confuse. So Misericordia University and its Voice Science Laboratory have come up with this 5 step process to combine the best of both learning processes for voice therapy purposes. This is because they feel that your brain works better if you are presented with easy and difficult tasks from day one. This should promote generalization outside the therapy room and cut down on in-therapy frustration. Step 4 is, surprise, letting your clients do the work with your guidance. "Deliberate practice is important to skill learning and improves performance and reduces the potential for practicing improper voice productions." Help your clients generalize by giving them a firm base of implicitly and explicitly learned skills to pull from. Guide their practice so they can generalize in a variety of contexts. Step 5 is nurturing fully capable clients. They have used top-down, bottom-up, part-whole, whole-part, implicit, explicit, however and whatever. They can troubleshoot their own productions and hopefully help themselves in the future because of the expert knowledge and skills you have given them. Help decrease attrition! Acquire the fire! This study pulls from much hard work and it is right here at your fingertips to take to the streets....or therapy room...hey, you might givevoice therapy on the streets...I don't know. Anyway, happy Research Tuesday! Posted on January 6, 2015 by a tempo Voice Center and filed under Research Tuesday and tagged Motor Learning Theory SLP2B SLPeeps SLPbloggers voice Voice Therapy researchtues. Resonant Voice Therapy might have let you hold its hand in school, but I'm gunna show you how to graduate...haha. I can't get that song off my radio! When I came across the title to the research article I am featuring for this week's Research Tuesday, I wondered to myself about my own "twang" and how often it probably rises to the surface since I'm from Texas. I treat clients often who have a twang of their own and I smile when it is very apparent because it makes me proud to be a Texan and to call this great state my home. You all may be familiar with Resonant Voice Therapy and its uses for unloading the vocal mechanism. You may not be familiar at all with "Twang Therapy Techniques." Joanna Lott defines it as, "an aryepiglottic narrowing to create a high intensity vocal quality while maintaining low vocal effort." This is narrowing the aryepiglottic sphincter, as evidenced in this video. Elpida Koutsoubaki, Voice Therapist (from Athens, Greece), is using this to review the patient’s progress. She had received 3 voice therapy sessions leading up to this. “She is one of many patients with bilateral vocal fold paralysis for whom twang therapy has mercifully delivered a fully rehabilitated and functional voice (and breath support),” Elpida says. Still wondering how Twang sounds? Think Lois Griffin from Family Guy. Yanagisawa, Lombard & Steinhauer describe it similar to an oboe, banjo or duck quack. I'm thinking, 'Yeah I already have my patients try enough crazy sounds, what's one more animal sound-a-like?' It turns out, twanging, for lack of a better term (so as not to confuse others with Miley Cyrus and her antics) could really benefit a client in the therapy room. Twang constricts the vocal tract in a way that clusters formants in an acoustically pleasing way because it complements the resonant frequency of the ear canal. Because it increases the perceived loudness levels for the listener, the client can increase volume without increasing effort. Pretty cool, huh? But is there a danger of bad production habits? With any therapy technique, you must be knowledgeable about it going badly in order to keep your patients on the right side of the line. Aryepiglottic constriction has been found to be present in every-day vocal production, so it is safely utilized by the general public. Hyperfunction, on the other hand, is any false vocal fold medial constriction and is strictly prohibited because it recruits excess and unnecessary muscular effort to phonate. Make sure you are monitoring the difference carefully when utilizing this in the therapy room. This can also treat the hypophonic voice, as a study by Lombard and Steinhauer proved in 2007. Vocal fold paralysis or atrophy can lead to a breathy, unsupported vocal quality. After receiving voice therapy sessions using twang intervention, all of the participants were very happy with the finished product and that they were increasing intensity without sacrificing effort or coming across like a country-music singer. I wonder how it would work with tandem with an LSVT approach? When utilizingthis technique, it is important to know how to distinguish twang-y from nasal-y, as evidenced in this video. He is referencing Jo Estill's twang teaching, and educating on how to utilize your aryepiglottic folds when twanging. He explains about the soft palate movement nicely as well. More studies are needed to determine the effects of twang therapy, so "get a ride in the engine that could...go..." and twang twang into the research scene! Joanna Lott; The Use of the Twang Technique in Voice Therapy. Perspect Voice Voice Dis 2014;24(3):119-123. doi: 10.1044/vvd24.3.119. Also, Elpida has offered to answer questions re. application of Twang to bilateral vocal fold paralysis. You can reach her at ivoicetherapy@gmail.com. Posted on December 8, 2014 by a tempo Voice Center and filed under Research Tuesday and tagged Straw Phonation Voice Therapy researchtuesday nerdalert SLPeeps SLP2B singer countrymusic techniques. A Cure for Stage Fright? Can Blood Pressure Medication Help or Hurt? In honor of #ResearchTuesday, I have chosen to blog about a study I was given to peruse this past week about a double-blind controlled trial about how stage fright affects the voice. Stage fright is an issue for many performers and public speakers, and has varying degrees of intensity. The study wanted to explore quantifying these effects of stage fright stress on the human voice. In previous studies, fundamental frequency (your voice's pitch) is the constant here, as it is documented to increase with stress. Conflicting evidence on vocal intensity (loudness) and speaking rate exists, so I guess for some individuals experiencing stage fright, you might get louder with a faster rate of speech or quieter and slower....or a combination....My mind begins to wander back to middle school presentations I had to give. I stood there at the front of the class, shaking and flushed in the face. I can't remember what my voice did, so I'm was interested in the outcome of this study. Some folks don't like the shaky, sweaty palms, nausea or diarrhea that stage fright brings upon a person...I wonder why? So, they take beta-adrenergic blockers. This is your basic medication to lower the blood pressure by blocking adrenaline and slowing the heart beat, but side effects are a danger. Findings were an increase in blood pressure more in female participants than in male, but both the placebo group and the medication group showed an increase. Jitter increased following medication for stage fright, and speaking rate increased with no medication following the cold water test. I am pretty sure I would have the same reaction if you made me hold my hand in an ice cold glass of water. "Please let me take my hand out now thank you very much yadayadayada....." It would be like truth serum. It was interesting to me that the researchers hypothesized that the voice parameters measured would all increase in a person with stage fright. They thought the changes in the lungs from the body's reaction to the cold water test would increase the airflow in the throat and therefore increase the vocal fold vibratory speed (making the person's pitch increase). They found that without medication to combat the stress, a person's pitch increased. Unfortunately, the only statistically significant finding from this study was that jitter increased after receiving medication for the stress. This means that there is no reason to pop some blood pressure meds before your huge opera debut or that presentation you have to give this week to keep your voice from going all wonky. In fact, this study actually suggests that professional voice users should avoid any medication of this type before singing or speaking because it might be counterproductive, as it increases the noise in your voice. Beta-Adrenergic Blockade and Voice: A Double-Blind, Placebo-Controlled Trial. Giddens, Cheryl L.; Baron, Kirk W.; Clark, Keith F.; Warde, William D. Journal of Voice , Volume 24 , Issue 4 , 477 - 489. Posted on October 28, 2014 by a tempo Voice Center and filed under Research Tuesday and tagged fakeittillyoumakeit nerdalert researchtues voice professionalvoiceusers.